When the lights went down on the last Dyke Night at Machine in 2017, members of the Boston community were left reeling as they mourned the end of yet another long-running safe space for lesbians and queers of all genders. A similar loss has been felt in other parts of the country as well. The members of Last Call, a multiracial collective of queer artists, activists, and archivists based out of New Orleans, came together after the closing of their last local dyke bar. Determined to preserve this important part of queer history before it was lost forever, they resolved to document the lived experiences of people who had found refuge in these spaces through in-person interviews. While the success of the gay rights movement has paved the way for LGBTQIA+ people to live more openly, assimilation has also seen spaces that were once community pillars go dark, specifically those that center women and non-binary people. The lack of these places primarily affects inter-generational connections, as community elders who once depended on gay and lesbian bars to meet friends and lovers, get their bearings in a new city, or simply be visible, find themselves unsure where to turn. Comprising of four parts, Last Call’s multimedia approach to queer history preservation includes the digital archive of interviews they’ve conducted with people in Louisiana and Massachusetts, a podcast series that highlights curated stories from the archive and live theater performance. All of these events aim to bridge younger members of the community with those who have come before. 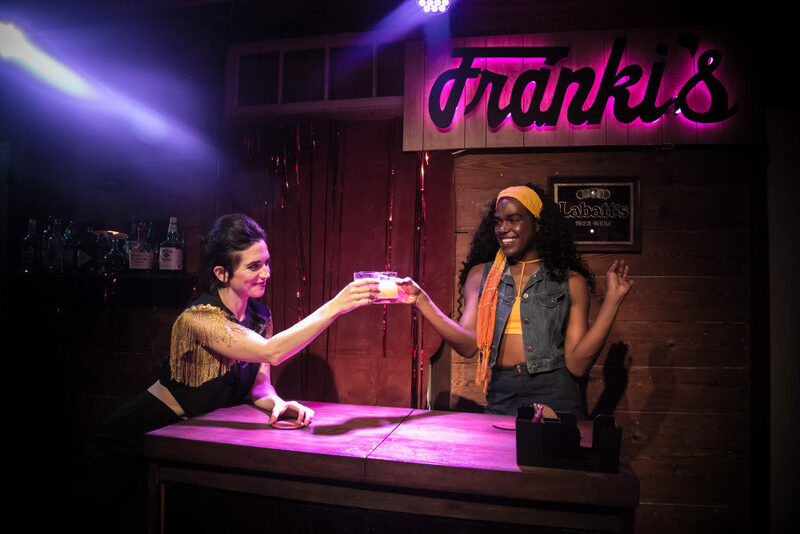 Dubbed “Alleged Lesbian Activities,” the performance aspect of Last Call’s queer history project comprises of cabaret acts set in the present day, interspersed with audio of the narratives collected by Last Call’s co-director Bonnie Gabel and mitchell. 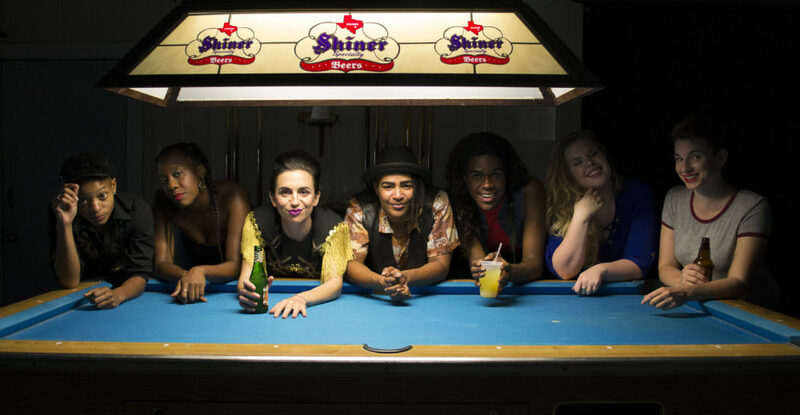 Over the past six years, the Last Call team has amassed an ever-growing archive and theater performance — which caught the attention of Boston-based The Theater Offensive, who also found itself asking: Where did all the dyke bars go? The members of Last Call were more than happy to accept The Theater Offensive’s request to bring “Alleged Lesbian Activities” to Boston for its New England premiere; two of its own members are Boston natives. 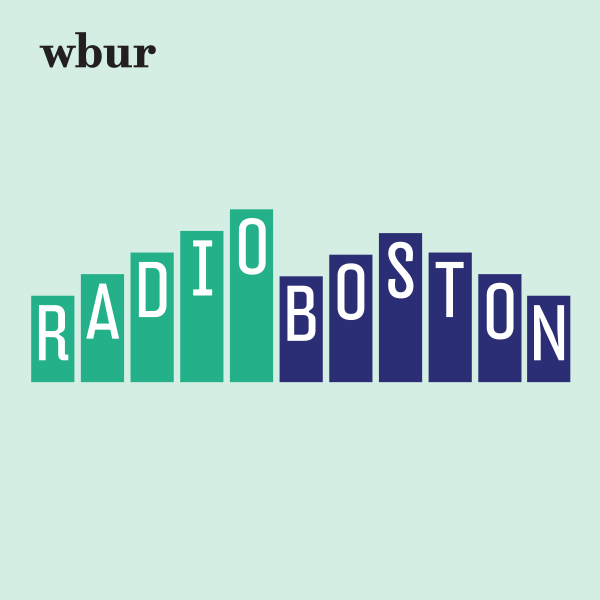 They began collecting interviews from Massachusetts residents over the course of four visits to bring local context into the premiere, and are hopeful that the experience will leave audiences with a piece of living history. When it came to choosing a venue, Jacques Cabaret, a gay bar established in 1938 and renowned for its weekly drag shows, was the obvious choice for both the performers and for The Theater Offensive. As well as once having had a lesbian bar on its second floor, many of Last Call’s interviewees shared stories set at Jacques. 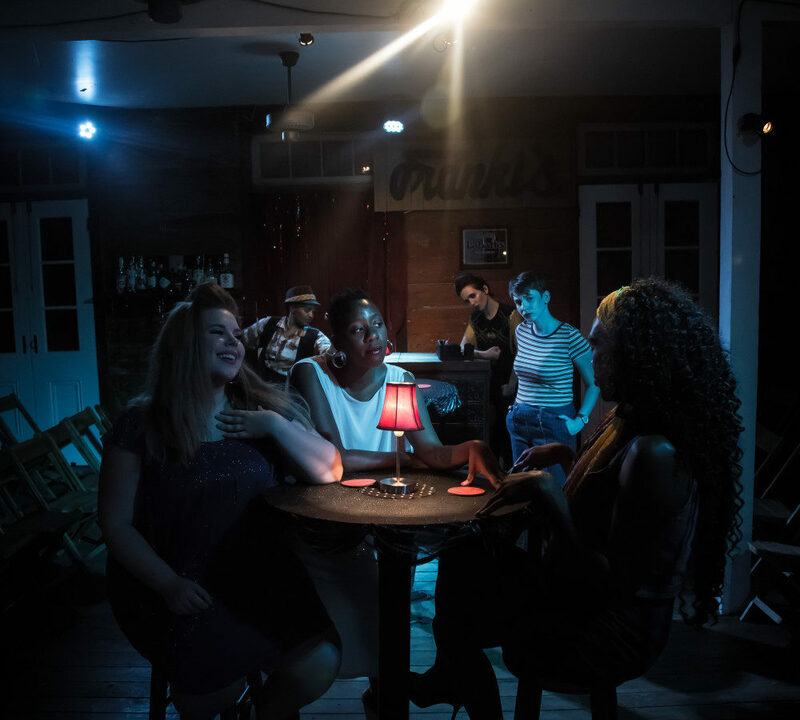 The setting lends itself so well to the cabaret nature of “Alleged Lesbian Activities” that the company will be changing virtually nothing about the interior to accommodate the play. “Alleged Lesbian Activites” also holds an air of reclamation and power. 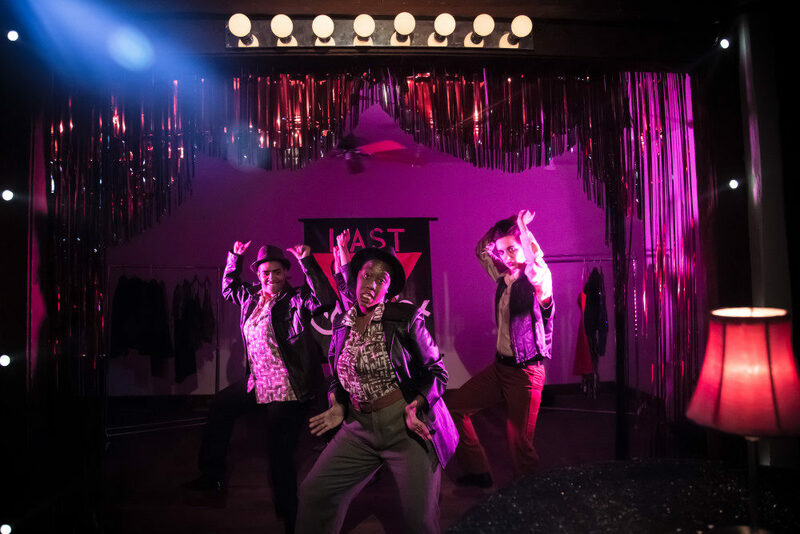 Last Call invites the audience into its pop-up dyke bar and refuses to apologize for language like "queer" and "dyke" — words often contested for their use due to their history as violent slurs. Yet many members of the community who have come up and come out after the AIDS crisis and social shaming of the '60s, '70s and '80s find that reclaiming these words resonates with how they want to be seen and understood — especially as they find that much of the more “acceptable” language available (gay, lesbian, trans woman, trans man, etc) still connote adherence to a binary.